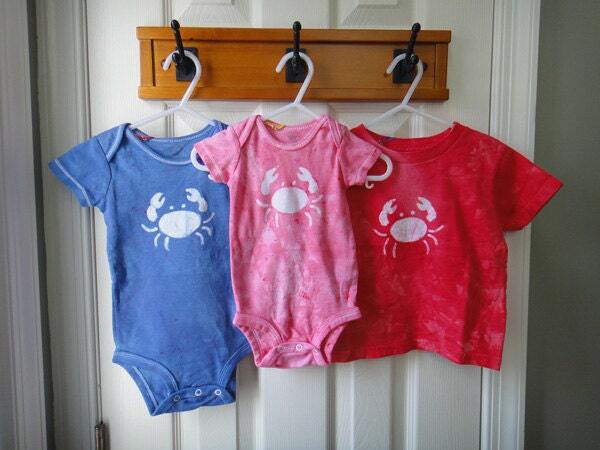 Got a sweet little crab in the family? 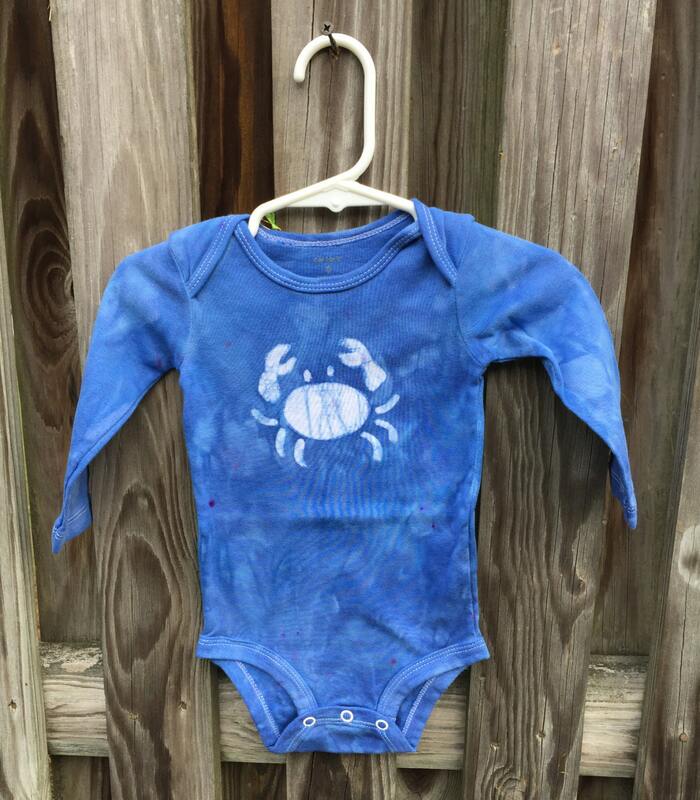 This blue crab baby bodysuit is a size 9 months, made using a Carter's brand bodysuit. 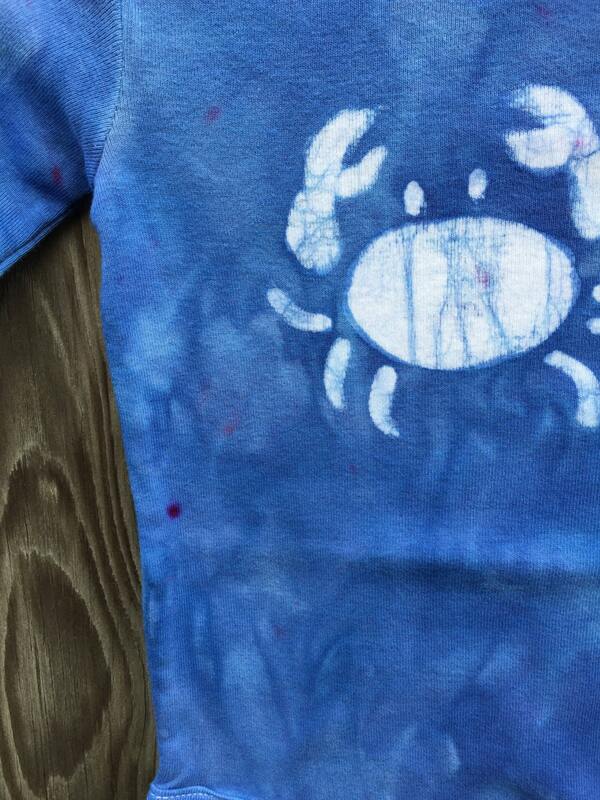 I stenciled my little crab onto the chest before dyeing the garment as blue as the Chesapeake Bay itself. Short sleeves, 100 percent cotton. Makes a unique baby shower gift! What are those spots of red? 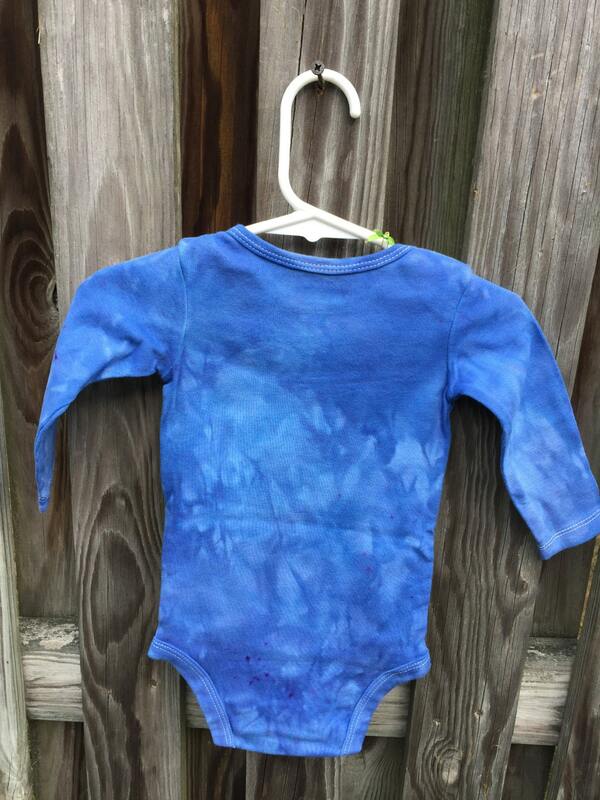 All of the dyes I use are mixes, and this shade of blue has a little red in it. Sometimes, it comes out in the final product as little dots of red.